If you wonder if oiling your hair is necessary or if it is good or bad to apply hair oil everyday, read this. Also find out which are the best natural oils for oiling your hair. In my experience I have found that oiling every now and then can be good for the hair, especially if you have dry and frizzy hair that is also curly by nature. Actually I do not like oily hair. So whenever I use oil in my hair, I make sure that it is not making my hair feeling sticky or oily. Otherwise, I just wash it out afterwards. But why do I use oil if I really do not like the feeling of being 'oily'? I wish I had naturally frizz free hair that is also easy to manage. But I have long and curly hair that is not really very easy to manage if I don't take proper care. I actually use commercial shampoo and conditioners in my hair since they are much easier to use, but I prefer natural ways to care for my hair on a long term basis. How does oiling helps your hair? If you have the kind of hair that gets tangled easily, oiling can help to remove the tangles easily. It also helps to seal in the moisture in hair, thus removing the dryness of hair. I have found that almond oil is the best, when you want to lightly apply the oil in your hair just to make it frizz free. Almond oil does not make hair sticky. If you have thick and long hair that needs untangling before brushing, using almond oil should be helpful. Applying non sticky and leave in type hair oils can also make hair shining and soft. If you have thin and brittle hair, brushing the hair may break the hair strands. Applying oil to the hair strands before brushing can protect the hair from breaking. Pure almond oil is great for skin care as well as hair care. It is also believed that applying slightly heated oil to the hair scalp can actually improve the blood flow and thus promote the health of hair. This is known as hot oil treatment. Since you are applying the oil to your scalp, it is always better to use a virgin oil that didn't go through much processing. In that case, I also trust traditionally prepared Ayurvedic herbal hair oils, which is actually a mix of healthy oils and herbs. If you are not used to using herbal oils, just use some pure oil that is good for hair. How often should you use hair oils? In my case, I have found that applying oil in the hair strands once or twice in a week and applying oil in the scalp once in about two weeks time works great. But this can vary depending on the type and length of your hair and you will have to find out yourself what works best for you. You might have to use the oils less or more often. When Is Oil Not Good For Your Hair? If you have naturally oily hair, applying oil may make it look more oily. If you have dandruff, keeping oil in the scalp may not be a good idea. The best thing to do is apply slightly heated oil in the scalp, leave it for about 30 minutes and then wash it out completely with a good shampoo. If you have any scalp infections other than dandruff, or if you have any allergy to specific oils, it will be better to stay away from oils. When you apply oil to your hair strands, make sure that it is not sticky. If it is making your hair sticky and oily, wash it off after few minutes. If you apply oil to your scalp for a hot oil treatment or simply a massage, it is best to wash off after 30 to 45 minutes. The golden rule is that never leave your hair oily for a long period of time. Which Are The Best Oils For Hair? 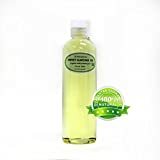 I have found that few oils are actually very good for hot oil treatments. The best oils that I found useful for the scalp are coconut oil, olive oil and sesame oil. Coconut oil is not just used for cooking, but it is also great for skin and hair care. Actually, coconut oil is one of the best oils for hair due to its anti fungal and anti bacterial properties. If you live in places with cold climates, coconut oil may become hard. It is very natural for coconut oil that it thickens in cold temperatures. In that case, you can easily melt it by keeping the bottle in a bowl of warm water for about two minutes. 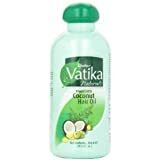 Coconut hair oil from Vatika doesn’t leave the hair sticky and it has a pleasant scent. 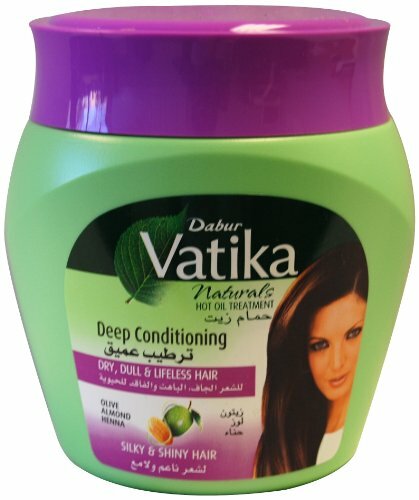 The best thing about this product of Vatika hair oil is that it is also enriched with henna, amla ( gooseberries) and lemon, all of which are excellent for natural hair care. Henna and gooseberries are especially known for their use in natural hair dyes, which you can even prepare at home. When ever I use it, I make sure that I apply it before washing my hair. After applying the oil, you have to just leave it like that for about 30 minutes and then rinse your hair. It helps to detangle the hair and remove the dryness and also makes it soft. It is best if you can heat the oil slightly before applying to your hair and scalp, however I just apply it as it is. Olive oil is really great for hair, since it is naturally healthy with monosaturated fatty acids which is good for hair. 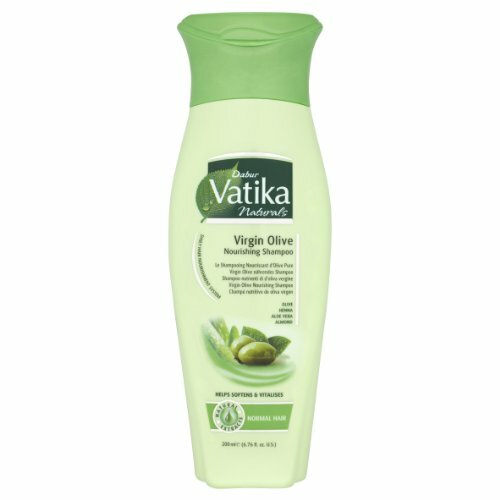 It is even less stickier than coconut oil and you can easily find extra virgin olive oil for hair care. Olive oil mixed with herbs are also available in the market. Sesame oil is apparently not very popular as a hair oil in Western countries, but let me tell you this is one of the best oils for hair. In fact, pure sesame oil is not just good for hair, but it is also great for your skin and cooking as well. In the traditional Ayurvedic treatments in India, more emphasis is given to the use of sesame oil and so it is included in many traditional treatments. Sesame oil is also very commonly used as a cooking oil in South India. What makes sesame oil stand out from other oils is the presence of Vitamin E, phytosterols and lignants in the sesame seeds, which are also present in the oil. Other than coconut oil, olive oil and sesame oil, there are definitely many more oils that are suitable for hair care. Here you can read about two more popular hair oils. I have never used Argan oil, but I have heard that it is great for hair and based on the Amazon reviews for the below product, I think that should be true. So it is in my plans to try the argan oil in future! Argan hair oil shown below is also infused with other oils like coconut and olive oils and also vitamins. Argan oil is extracted from the kernels produced in argan trees mostly found in Morocco. Jojoba oil is another oil that is really great for hair care, which is a natural fungicide too. Which oil do you use for your hair? I like these natural oils, which work well with the natural composition of our hair, something chemicals can't do. Pinned to my Natural Remedies board. 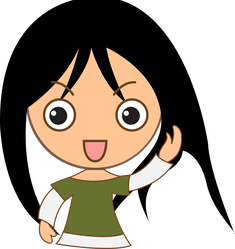 Thanks WriterArtist! Amla is great for general health, including the health of hair. I too use Amla infused hair oils occasionally. I use amla oil on my hair and believe that oiling is good for the hair. Without the oil, my hair gets a bit untidy and messy. Thanks ologsinquito. Jojoba and coconut oils are really good. Hi EmmaSRose, thanks for reading! I too love using almond and coconut oils for hair but it seems like almond oil is more known as a skin care oil. But it is really good for hair too. I use jojoba oil on my face, but not on my hair. Maybe I should. This reminds me to put some coconut oil on my hair, because it does help moisturize it. Thanks katiem2 for stopping by. I too use different oils occasionally. Thanks for telling about the use of Wen! Actually I use a lot of oils on my hair. I do not shampoo my hair rather I use Wen. I condition cleanse my hair. I cannot imagine my hair without oil! Great article.